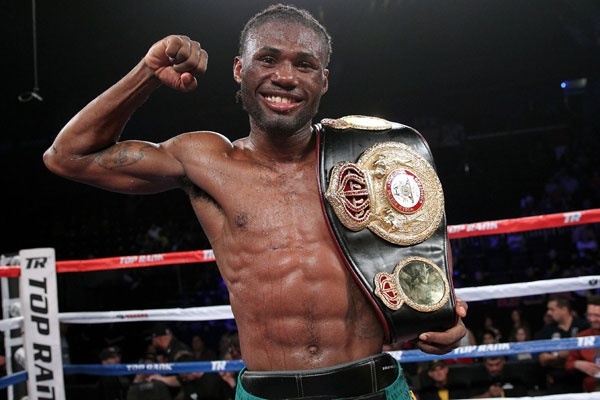 Jamaican sensation Nicholas “Axe Man” Walters has been defeated…..on the scales. The big punching WBA champion, initially weighed in at 127.4lbs – 1.4lbs over the limit. After being given time to make the weight, he still couldn’t make 126lbs (9st). Challenger Miguel Marriaga of Colombia, successfully weighed in at 125.2lbs and the WBA belt will still be his, should he win on Saturday night. The bout still goes ahead at Madison Square Garden Theater, New York, USA, promoted by Top Rank and live on HBO. The fight with Marriaga would’ve been Walters fourth title defense, having won the title in December 2012 against Daulis Prescott. He has defended against Alberto Garza, Vic Darchinyan and Nonitio Donaire and been victorious by knock-out each time. Walters (25-0, 21 KOs), may now move-up in weight; underdog Miguel Marriaga (20-0-18 KOs) will be looking to seize this opportunity. The fight was already compelling, given their punching prowess and previous history in the amateur ranks (where Marriaga defeated Walters). Still expect fireworks and drama.